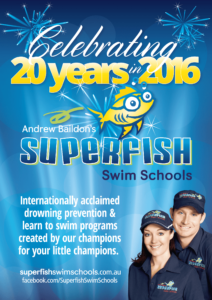 Superfish Celebrating 20 Years in Learn to Swim! 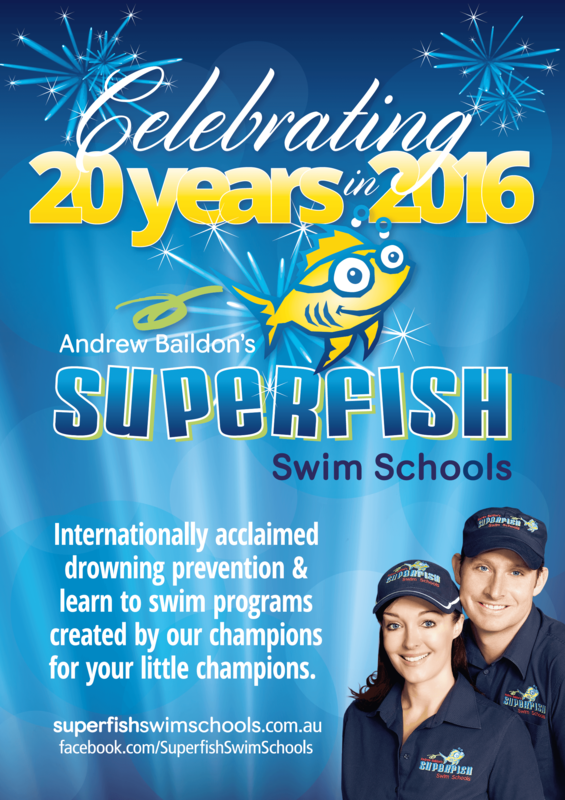 We are so proud to be celebrating our 20th year in Learn to Swim in 2016. What a milestone! We began teaching Drowning Prevention and ‘Learn to Swim’ programs when Andrew retired from competitive swimming, after 10 years on Australian Swimming Teams. Together, our vast experience and wealth of knowledge gives us a rare insight into all aspects of swimming development and the expertise to develop training programs at the very forefront of the industry.